The authority, Ha Long Bay management board, has discovered 23 more new caves in Ha Long Bay and Bai Tu Long Bay (Quang Ninh Vietnam). Carnival Halong-The highlight of Ha Long Tourism week. With the theme "Convergence of quintessence and Pervasion of smiling", Carnival Halong is attracting thousands of tourists. 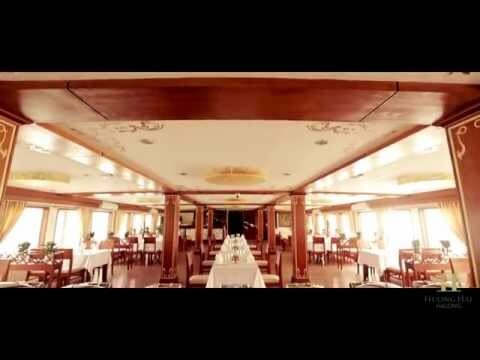 Chartering Huong Hai Halong cruise ships for sightseeing on Halong Bay Tour.